UPR Billet Adjustable IRS Camber Arms for your 2015-2018 Mustang S550 2.3 V6 or GT are made from 7075 Billet Aluminum, 4130 & 4140 Chrome Moly High Tensile Steel and feature 304 Stainless Steel sleeves and Energy Suspension Urethane Bushings to replace the factory non adjustable cast steel arm with rubber bushings. 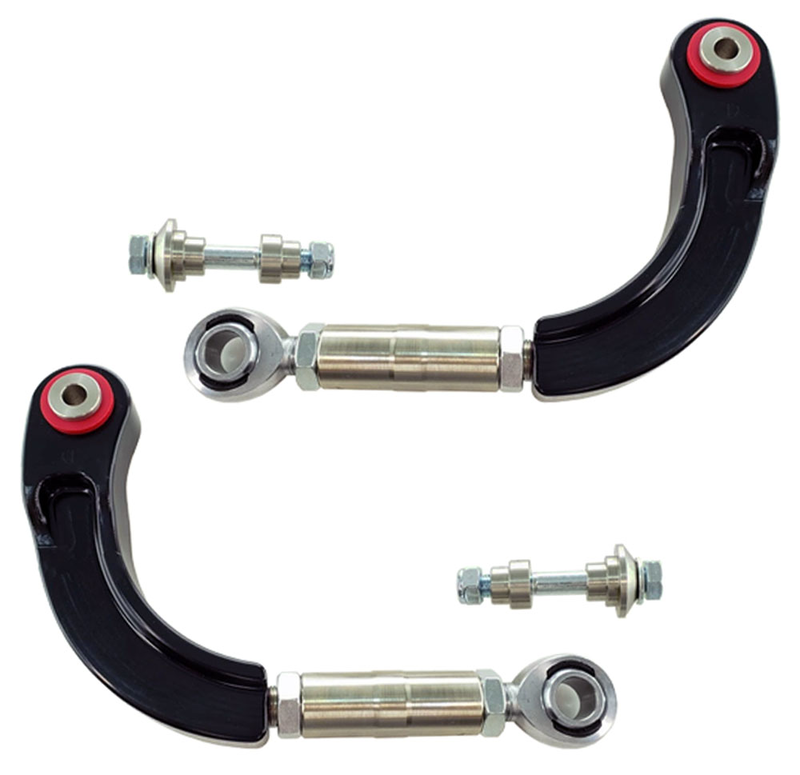 A must for any lowered S550 Mustang these arms can be adjusted to correct the camber to prevent uneven tire wear. All of our Suspension Products are made with the Highest Quality materials and most expensive components. We spare no expense on our products and always stand behind them with our Lifetime warranty that no one else offers. 2015 2016 2017 2018 2.3L Ecoboost V6 GT Mustang Roush Saleen Vehicles. No one else can stack up to the bold clean styling of our aftermarket Billet dress ups, Street Strip & Racing Suspension & Performance Parts for your late model American Muscle Car!